Signs that the recession is about to end are here. So what comes next? Growth will resume. But economic uncertainty will worsen, making what comes next not just a boom but a nerve-shattering Sonic Boom. Gregg Easterbrook, who "writes nothing that is not brilliant" (Chicago Tribune), is a fount of unconventional wisdom, and over time, he is almost always proven right. Throughout 2008 and 2009, as the global economy was contracting and the experts were panicking, Easterbrook worked on a book saying prosperity is about to make its next big leap. Will he be right again? 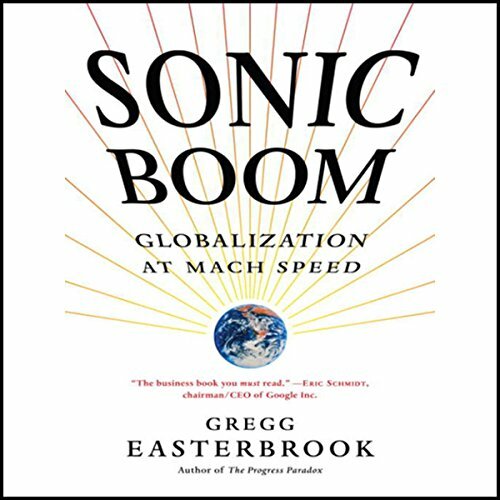 Sonic Boom: Globalization at Mach Speed presents three basic insights. First, if you don't like globalization, brace yourself, because globalization has barely started. Easterbrook contends the world is about to become far more globally linked. Second, the next wave of global change will be primarily positive: economic prosperity, knowledge, and freedom will increase more in the next 50 years than in all of human history to this point. But before you celebrate, Easterbrook further warns that the next phase of global change is going to drive us crazy. Most things will be good for most people but nothing will seem certain for anyone. Each Sonic Boom chapter is based on examples of cities around the world, in the United States, Europe, Russia, China, and South America, that represent a significant Sonic Boom trend. With a terrific sense of humor, pitch-perfect reporting and clear, elegant prose, Easterbrook explains why economic recovery is on the horizon but why the next phase of global change will also give everyone one hell of a headache. Forbes calls Easterbrook "the best writer on complex topics in the United States" and Sonic Boom will show you why. 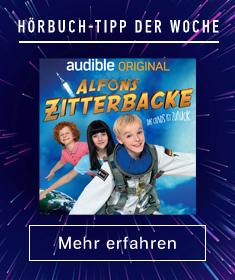 ©2009 Gregg Easterbrook (P)2010 Audible, Inc.